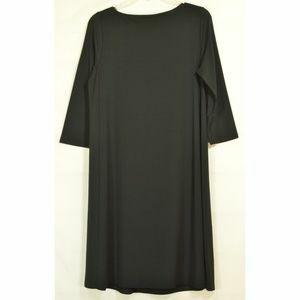 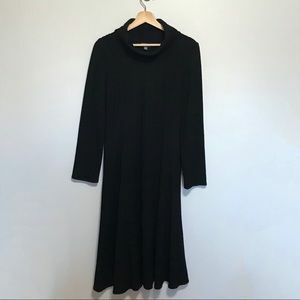 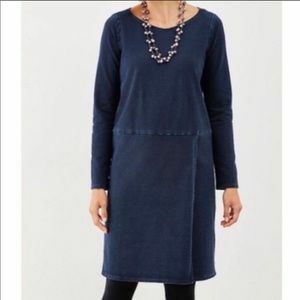 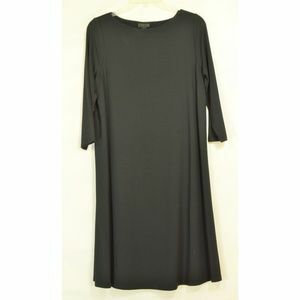 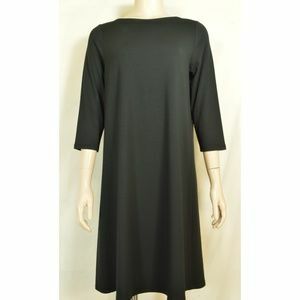 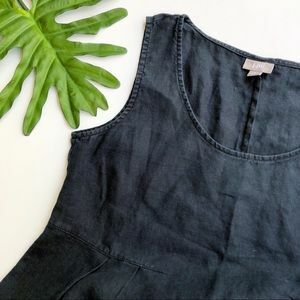 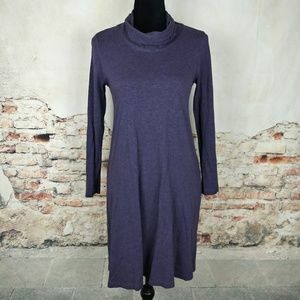 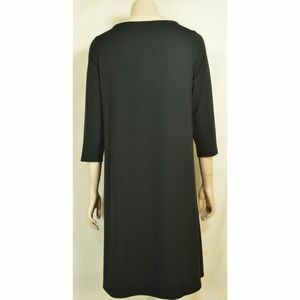 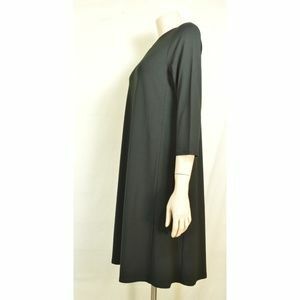 Wonderful pre-owned dress from J Jill Wearever Collection, black heavy knit, inset panels sews into underarm area from top to bottom creates slimming seams to the right and left front and back Looks good with belt but belt not included in sale. 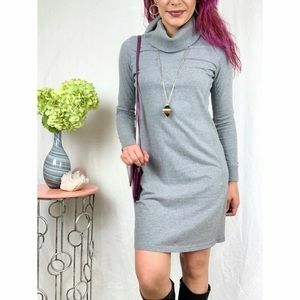 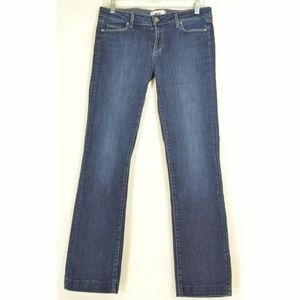 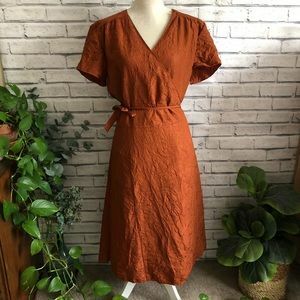 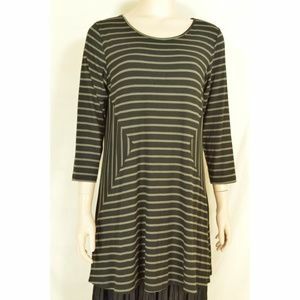 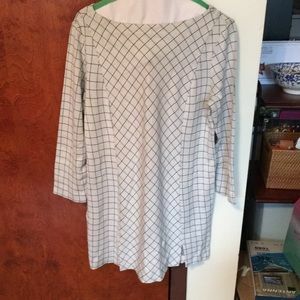 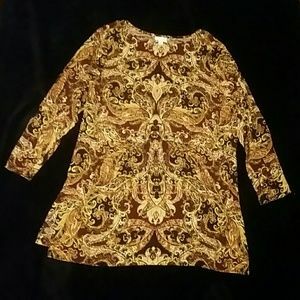 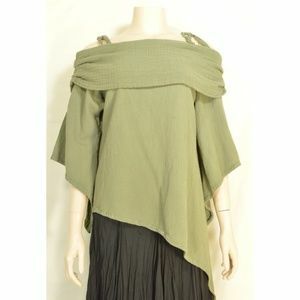 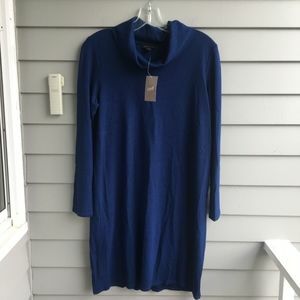 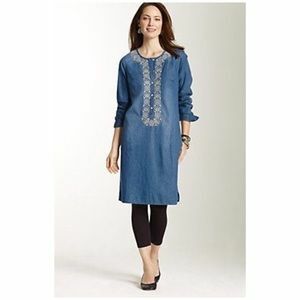 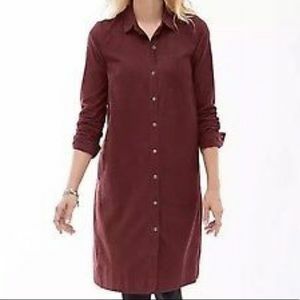 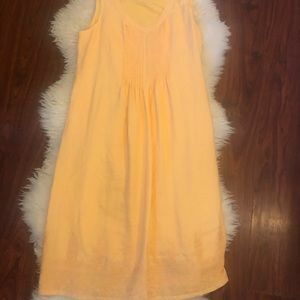 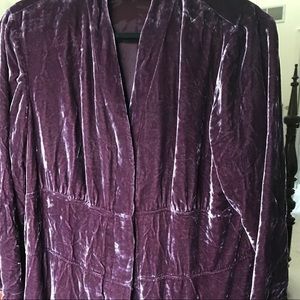 Can be worn as tunic with leggings. 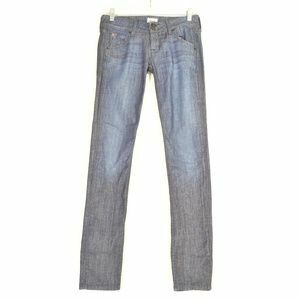 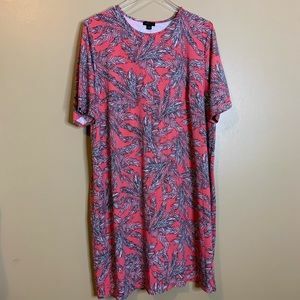 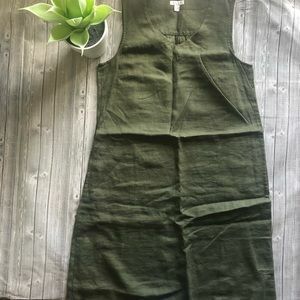 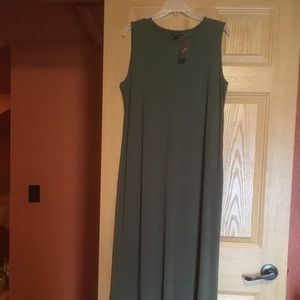 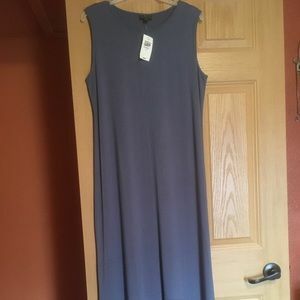 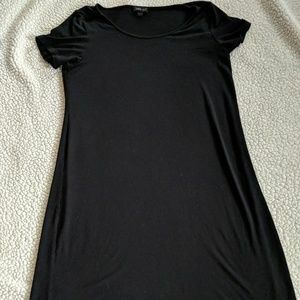 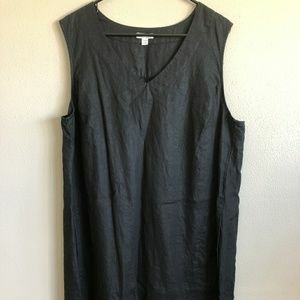 95% Rayon + 5% Spandex Tag Size S ... Read measurements 👇 * Approximate un-stretched measurements in inches: shoulder to shoulder 14, armpit to armpit 19, waist 40, hip 44, bottom 56, shoulder to bottom 37.